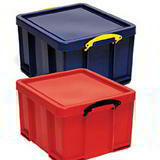 Really Useful storage bays complete with either blue, red or clear 35 Litre Really Useful boxes. 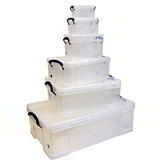 These versatile solid storage boxes are designed for office and commercial use. 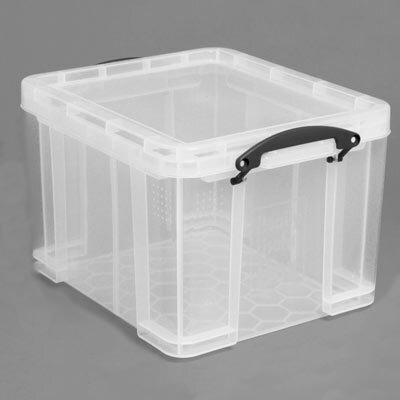 Features include an integral lip to accommodate suspension files, locking & tamper evident lids and handles for easy mobility. 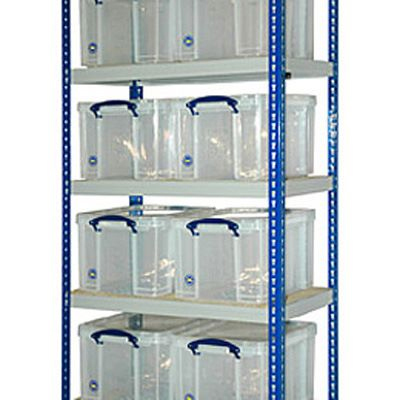 Have a look at our Plastic Storage Bins - the all-round small parts storage solution. 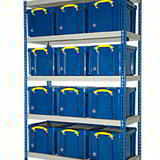 Easily manoeuvrable Trolley Storage Kits - mobile storage systems to speed up your operations. 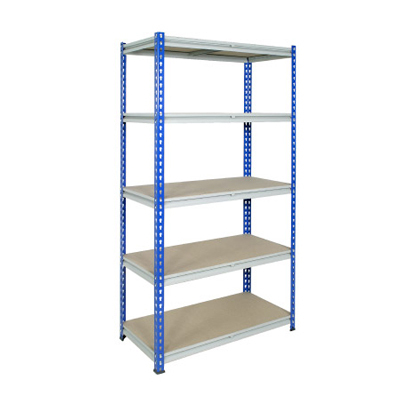 Or how about our Rack Storage Kits for large numbers of parts to be organised and accessible.